Callan Ward ways GWS is still in the premiership race. GWS co-captain Callan Ward is certain the Giants' premiership window remains open despite losing more key players in the trade period. Following last season, Dylan Shiel, Tom Scully, Rory Lobb and Will Setterfield were all traded, and Ryan Griffen retired. That prompted suggestions from some quarters the window of opportunity to win a flag may be closing, with the Giants not fully capitalising on the stack of high draft picks they had early in their history. Preliminary final appearances in 2016 and 2017 were followed by a semi-final exit this year. "The most important thing is the list is still really strong, so no doubt I think we're in a premiership window still," midfielder Ward said on Monday. Ward believes the Giants still boast one of the premier midfield groups in the competition. GWS replenished its midfield stocks in the national draft, using its first three picks to select onballers. "I've seen their highlights packages and they look really exciting, I just want them to bring enthusiasm," Ward said. The Giants' all-time games leader, Ward said there was a lot GWS needed to do better if they wanted to win their first flag. "We need to tidy up a few areas of our game and I think most importantly it's probably the consistency over the whole season. It's also consistency in games as well," he said. 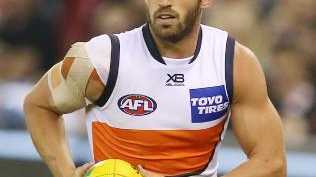 Ruckman Shane Mumford had his first training run with the group on Monday, two days after GWS signed him up at the start of the new supplemental selection period. Mumford retired at the end of the 2017 season due to foot issues, and helped out with the club's ruckmen last year, but Ward wasn't surprised to see him back. "Because he's actually kept really fit, he was always saying, 'I wish I was playing again, I'd be dominating', all this sort of stuff. He's pretty annoying," Ward said. 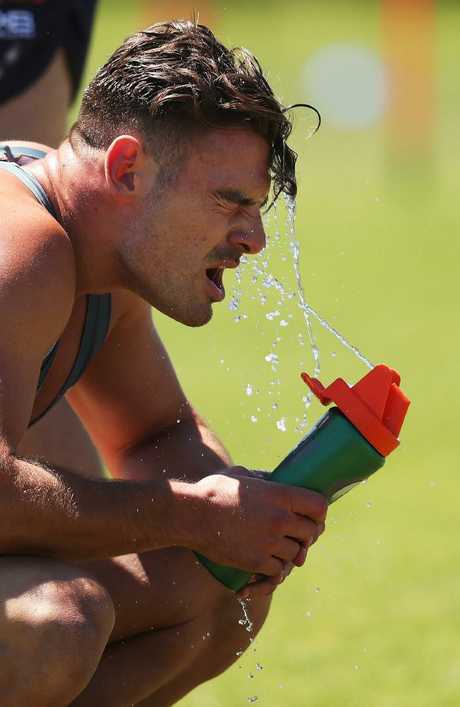 "But halfway through the year I was still looking at him like, 'This guy could actually play AFL footy and looking at it now, he's had a terrific off-season - he's training really well and he's in super nick. "It's great to have him back. He's a super player to play with and a great bloke around the club, and the boys love him."